I’ve watched Jacques Pépin as long as I’ve watched PBS. I’ll watch him cook anything, even if he’s cooking something I never will, because he is a legend of techniques. I’ve learnt so many cooking tips and tricks from his 30-minute lessons. You always learn something! Jacques Pépin is one of my cooking inspirations as his emphasis is never on the recipe, but more on the techniques and the tools, and most importantly on the ingredients. That’s how I learnt to cook in the first place, as that is my mother’s approach as well. I have learnt to cook crepes from this Frenchman, but he’s also taught me German style potato pancakes, and simple things like how best to remove corn kernels from the cob. I could go on & on about the wealth of education Pépin has imparted, but I’ll stop and just say that I will dearly miss watching him cook at the end of this TV series. Thank you in advance, PBS for what I hope will be endless re-runs. Jacques Pépin Heart & Soul, on TV now, is the last of his cooking shows on PBS. It has an accompanying cookbook, Jacques Pépin Heart & Soul in the Kitchen out of which I adapted a flexible gratin recipe and made his rustic country loaf. They are simple recipes and great for winter. Find the recipes for pureed delicata squash gratin and country loaf at kcts9.org. Please also visit Pépin’s Heart & Soul TV series page at kqed.org. Jacques Pépin’s Heart & Soul in the Kitchen cookbook accompanies his last namesake cooking series on public television. The name says it all — Heart & Soul celebrates how Pépin cooks and entertains with his friends and family. The book is full of simple recipes and practical cooking techniques that everyday cooks can use at home. Pépin is one of my own cooking inspirations, as he is for many others around the world, and I will sorely miss watching him cook on TV. Thank you PBS, KQED and KCTS 9 for helping us get to know and learn from this legend. I have selected two recipes from Heart & Soul in the Kitchen cookbook that make welcoming holiday side dishes, or sides to any autumn or winter dinner. 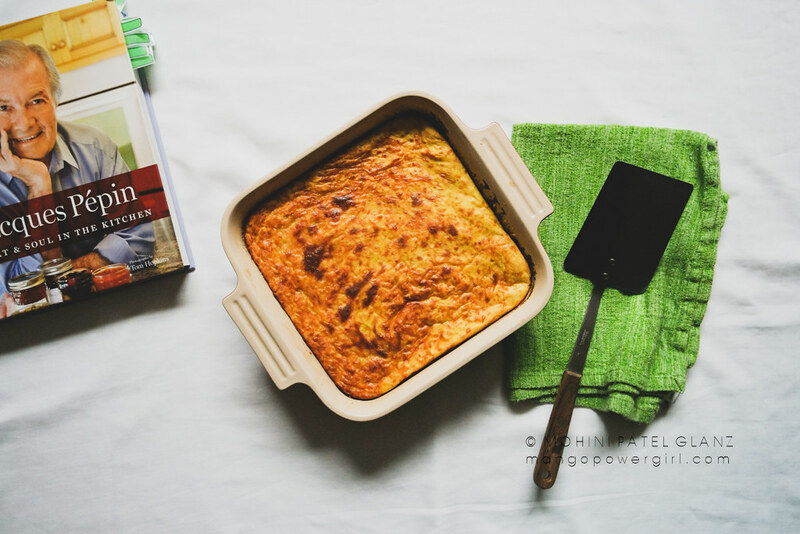 In fact, I could enjoy this squash gratin on a slice of country bread any time! First is my adaption of a Pépin recipe called Puréed Zucchini Gratin, using a seasonal delicata squash, which is simple and quick to prepare. The original recipe is similar to what Pépin’s mother used to serve at her restaurant. I followed his technique of pre-cooking the squash in the microwave and it’s a real time saver. You can simply scale this soufflé-like recipe up if you’re serving more than four, and the gratin mixture can be made ahead of time – just bake it half an hour before serving. Second is Pépin’s Country Bread. 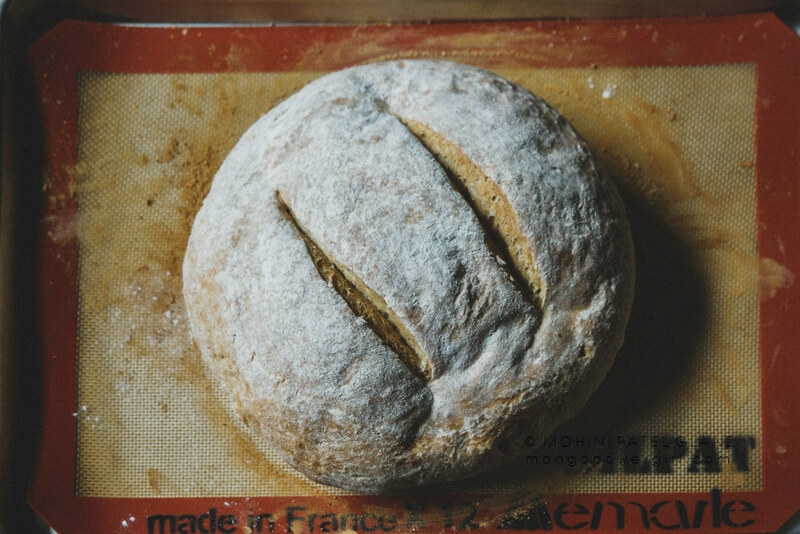 It’s a simple and satisfying, no-knead rustic loaf. You can make it a day in advance and you’ll wow your guests. It’s so much better than any store-bought bread. 2. 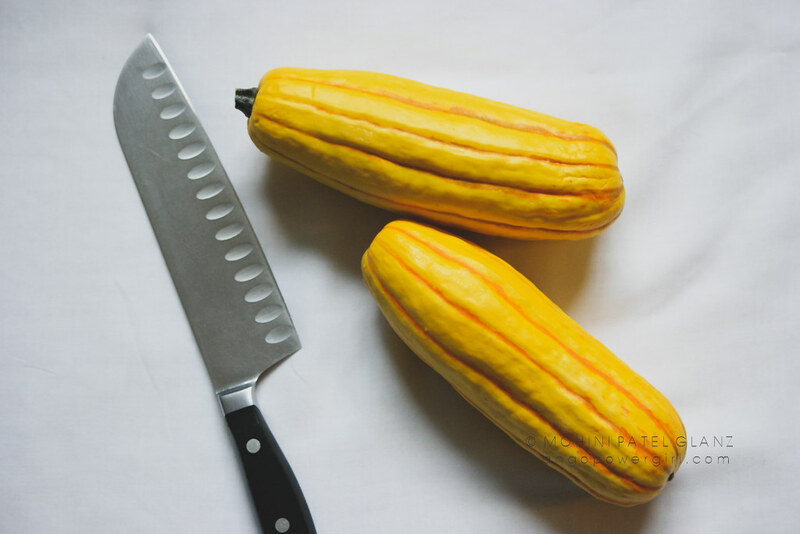 Cut the delicata squash in quarters and scoop out the seeds. Put it in a bowl, cover and microwave till soft enough for knife to pierce. Once cool to the touch, scoop out the flesh and discard the skins. 3. Microwave a clove of garlic covered for a minute or less to soften it up. It will cook the garlic and soften the flavor. 4. Put squash pulp and garlic in food processor and pulse till smooth. 5. Add half-and-half, flour, eggs, herbes de provence, salt and pepper and process till well mixed. 6. Add the Gruyère cheese and mix it in. 7. Butter the gratin dish well and pour the squash mixture into it. 8. Sprinkle Parmesan on top. 9. Bake for 30 minutes or until the gratin is set and brown on the top. Excerpted from JACQUES PEPIN HEART AND SOUL IN THE KITCHEN, © 2015 by Jacques Pepin. Reproduced by permission of Houghton Mifflin Harcourt/Rux Martin Books. 1. Put all flour (except the 1 tablespoon), yeast and salt in food processor and pulse. 2. While processor is still on, add water and process until dough is combined and soft. 3. Transfer it to a large, oiled bowl, cover and let it rise till doubled in size. It can take up to 3 hours, but less if you put it in a nice, warm place in your home. 4. Push the dough down, bringing edges toward the center to create a compact ball. 5. Place the ball, seam-side down on a lined baking sheet, and cover with a large bowl. 6. Let it rise again until it doubles in size. 8. When the dough has risen, sprinkle with the remaining 1 tablespoon of flour to cover the top. 9. Cut a few parallel slashes, about 1/4 inch deep with a serrated knife. 11. Let the loaf cool on a rack completely before slicing.